Don’t think that the homemade stuffing can be the star of the show? You just haven’t found the right recipe yet! Hopefully, this recipe for my Famous Homemade Stuffing will change your mind about how delicious (and easy!) and stuffing recipe can be. Every year for any major holiday I’m asked to bring 2 things, the dessert and my famous homemade stuffing. After deciding many years ago that the boxed mixed stuff will never work for us this recipe has developed and we just love it. The reason I’ve put off posting it for so long is that I don’t have amounts for anything. It’s just one of those “by taste” recipes. So really it’s more of a “guideline” than a recipe. But really you should see that as a plus since it’s so much more easily adaptable to your own family’s tastes! Start with a half loaf of fresh bread. (Note that you can use Gluten Free Bread. It will work great in this recipe!) Use one small loaf from the store if you don’t have homemade. You want about 1 lb of bread in this recipe. Place pieces of the bread out on the countertop and let them begin to dry overnight. 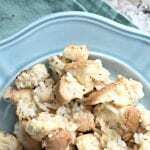 Once the bread is dry, break it into small pieces the size of croutons. Place these in a very large bowl. If you don’t have the time to let it dry, tear it into pieces first stick it in the oven for a little bit. Take it out when it’s dry but not totally hard and crispy. Cook the rice. Try and use freshly cooked rice in this recipe, not day old rice so it won’t get so hard. In the large bowl mix together your bread cubes and the cooked rice. 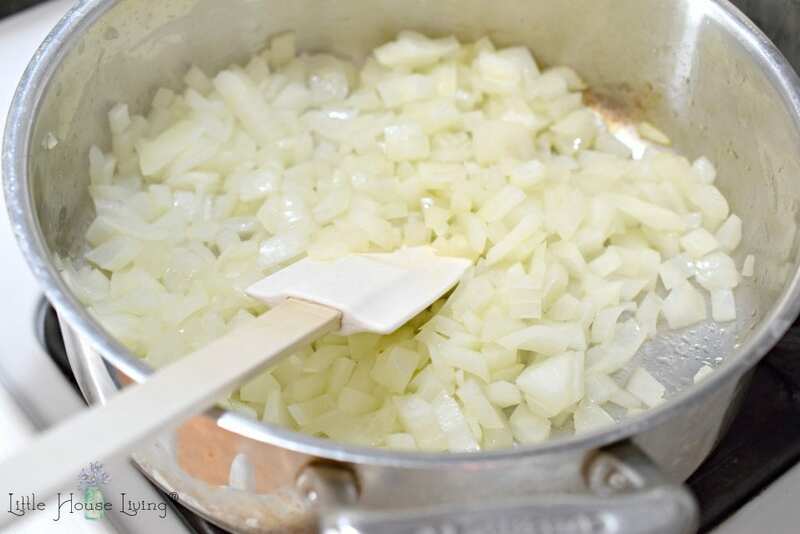 Use butter or oil and begin to fry a medium-sized onion in it. Cut up at least 1 or 2 medium-sized apples. You won’t need them just yet but you will in a minute. 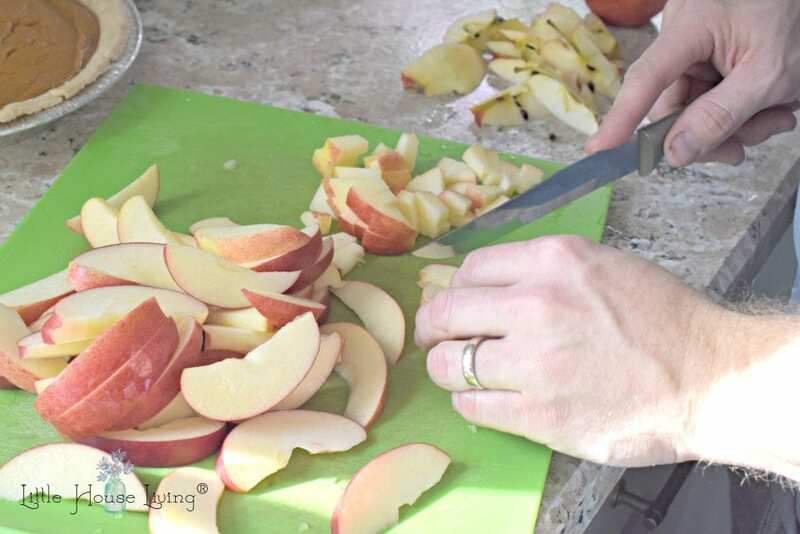 We use our Rada Utility Knife to cut apples. It’s the best! In the meantime, your onions should be about cooked through by now so add in the apples and fry together. You don’t want to fry the apples too long, just a few minutes. 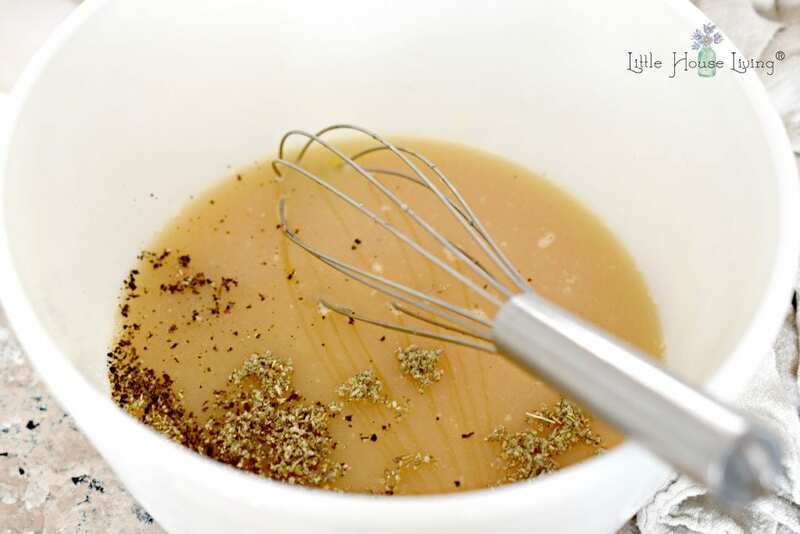 In a small bowl, mix together the egg, chicken broth (about 1 c. or more depending on how moist you want the stuffing to be) and the salt or any spices you might like. We like to add sage. Pour the chicken broth/egg mixture over the bread and rice mixture. Let it soak in for a couple of minutes. 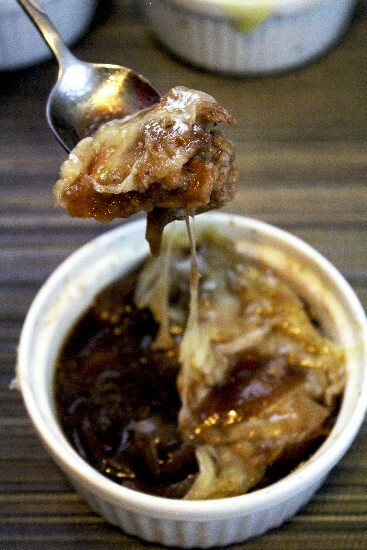 Add in the apple/onion mixture and mix together. If the mixture doesn’t seem moist enough, add a little more broth, remember that some of the moisture will cook out in the oven. Lightly grease a large cookie sheet and pour the whole mixture onto it. Bake it at 350F for about 20 minutes. You will want to use a spatula and stir it around occasionally. You want to watch it bake carefully because if you cook it too long it will get too dry. Yum. This could really be a meal all unto itself. Enjoy! Start with a half loaf of fresh bread. Use one small loaf from the store if you don't have homemade. You want about 1 lb of bread in this recipe. Place pieces of the bread out on the countertop and let them begin to dry overnight. 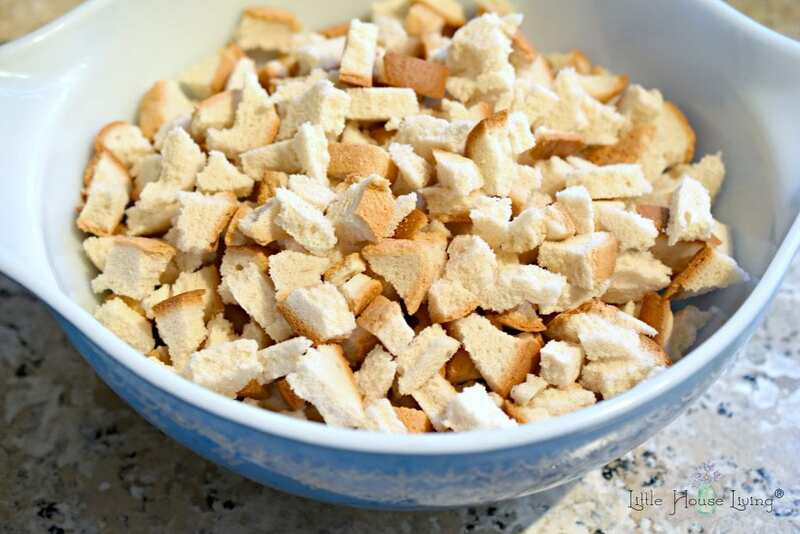 Once the bread is dry, break it into small pieces the size of croutons. If you don't have the time to let it dry, tear it into pieces first stick it in the oven for a little bit. Take it out when it's dry but not totally hard and crispy. Cook the rice. 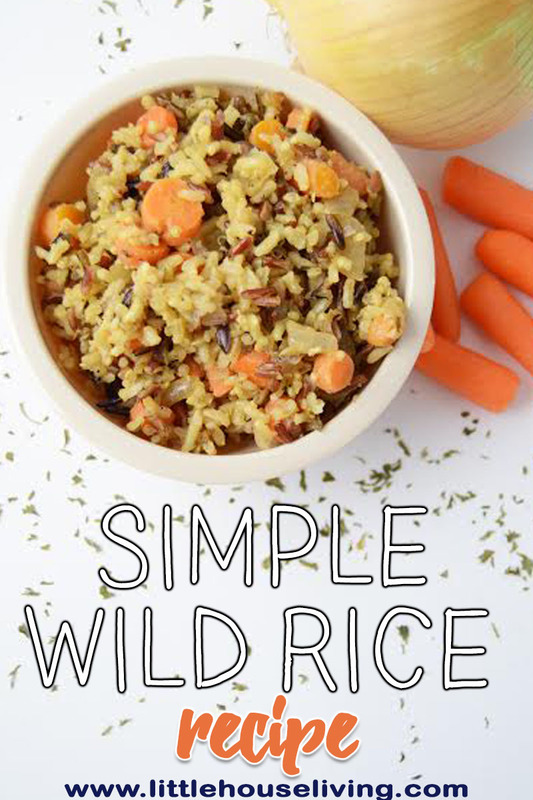 Try and use freshly cooked rice in this recipe, not day old rice so it won't get so hard. Cut up at least 1 or 2 medium sized apples. You won't need them just yet but you will in a minute. 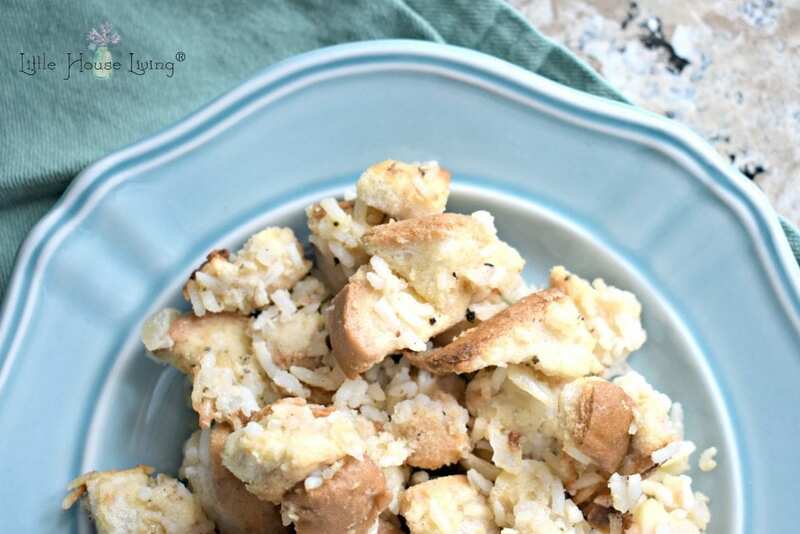 In a large bowl mix together your bread cubes and the cooked rice. In the meantime, your onions should be about cooked through by now so add in the apples and fry together. You don't want to fry the apples too long. Pour the chicken broth/egg mixture over the bread and rice mixture. Let it soak in for a couple minutes. Add in the apple/onion mixture and mix together. 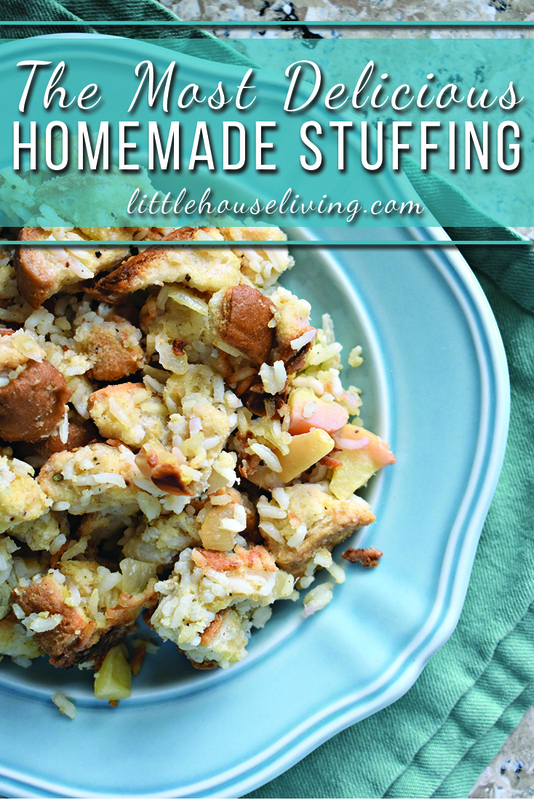 Do you make your own homemade stuffing? 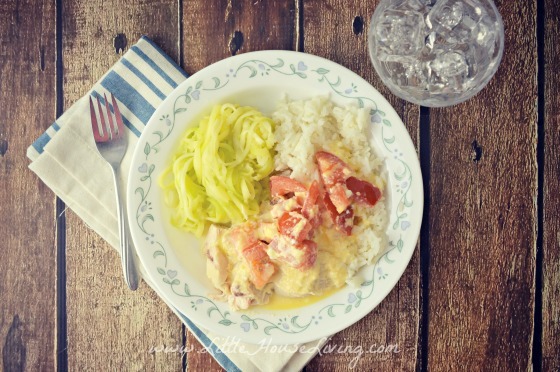 Have you tried this recipe? This recipe was originally published on Little House Living in December 2011, it was updated in November 2018. Thanks for posting this, even if it isn’t exact amounts. 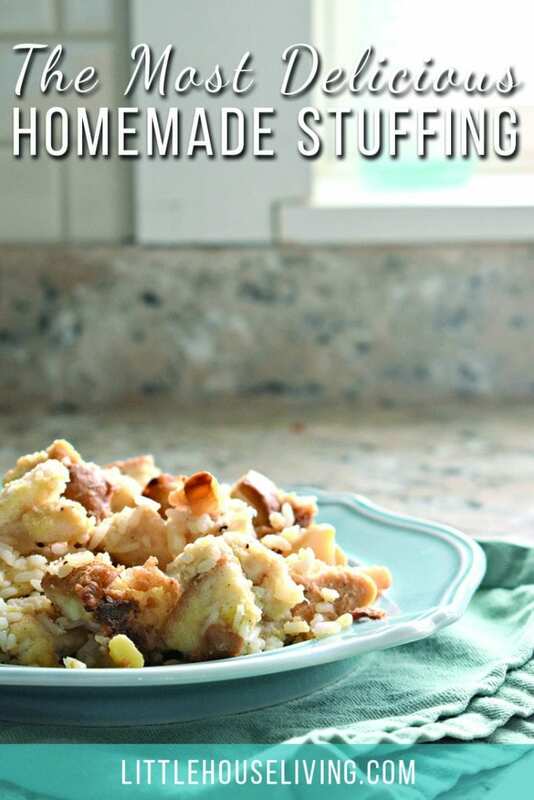 I’ve been looking for a good stuffing recipe for a long time and haven’t found one that fits the bill. You have just given me a great jumping off point to create my own with all the things we love.